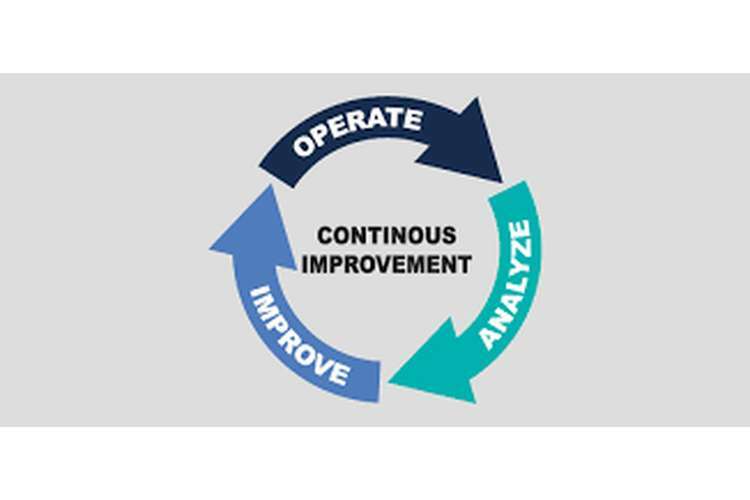 Continuous improvement is the regular process conducted by the organisation in relation to better utilisation of resources in an effective and efficient manner. This helps in enhancement in the level of the services, products or the processes appropriately. Continuous improvement can be conducted with the help of following a various process which would help in better working of the organisation without any baggage associated with it. In this essay, there is a description about the continuous improvement plan associated with the changing of the switchboard by the organisation. This switchboard is located at rail centre which is required to be upgraded without any complication. A plan is formulated which would be cost effective and be helpful for the effective utilisation of resources in the Queensland rail centre. According to Sokovic, et. al. (2010), continuous improvement can be conducted with the help of different methodology which would be helpful in the superior working of the operation of the business. This is conducted by various methods like Deming's P-D-C-A cycle or through six sigma. In this essay, the best method of continuous improvement is through Deming's P-D-C-A cycle which is an effective tool for the conduction of work in an effective and efficient manner. Plan- According to Matsuo and Nakahara (2013), it is the initial step in the P-D-C-A which is conducted by formulating the strategies in an effective and efficient manner. The strategies that are formed which are deals with the expectation of the organisation for the enhanced operation of the resources as well as utilisation. This is helpful in planning for the future is conducted along with the expectation associated with it. All the statutory aspects are considered in it. Other than that, training for the quality as well as controlling on the designing is also taken into account. The perspectives are also studied so that better understanding of the need is measured effectively. Do- It means the step which is required for the implementation of the planned in an effective an efficient manner. This plan which is implemented will be executed in a significant manner. When there is the execution of a process the next step is the formation of the product or the services which are required for the business. This is conducted by recognising various perspectives like procurement of resources, just in time supplies, the reliability of the products as well as the quality of the product in an effective manner (Matsuo and Nakahara, 2013). Check- In the words of Madu (2012), continuous improvement can only be possible if there is appropriate monitoring and controlling of the plan in an effective way. This is conducted by checking each and every step of the planning and comparing the same against the expected outcomes or the goals which are required to be achieved to improve the operations of the organisation. This is conducted through the use of statistics, charts which help in controlling, inspections as well as testing of the functions of the plan which is required to be implemented to get appropriate results. Act- The last and imperative aspect of this improvement cycle is the act which is conducted to implement the plans in a positive way to improve the changes in the business. After the analysis and the evaluation of the prospects of the planning, all the positive perspectives are implemented in the plan. All the other aspects are diminished in an effective from the plan which can affect the performance and create a hurdle on the success of the improvement plan. This is conducted by the way of total quality management, improvement in the brainstorming mechanism. Other than that, the various information system is also used to perform the task in an effective and efficient manner (Madu, 2012). This cycle is the continuation process which is imperative for the improvement of the resources in the organisation. This process described by the demand is significant for the success of the business and opportunity of the return in an effective manner. In accordance with the case, there is a requirement of up gradation of the main switchboard at rail centre at Queensland Australia. So, there is the requirement of improvement in the rail centre for which were tender presented with all the details be specified in an effective manner. Accordingly, there is the formation of the improvement plan in which all the details about the up gradation mentioned. This plan would further help in implementing the same in a significant manner. Plan- In accordance with the tender report, there is the planning for the up gradation of the switch board which is present on the rail centre of Queensland. This is considered that that switchboard is outdated and required new technology which would help in better functioning and easy operations simultaneously. Planning is conducted to replace the old switchboards and install and the new one which would possess cabling that has the better up gradation during a power outage (Jin, et. al., 2012). Do- This is conducted by implementing the plan accordingly. The contract would be formulated in which all the details related to the cost and expense of the switchboard would be mentioned in an effective manner. It is estimated that cost would be around Australian dollars which would be less in accordance with the most suitable offer related to it (Jin, et. al., 2012)). Check- The next in continuous improvement plan would be checking and monitoring of the replaced switchboard which would possess better functioning and operation. It would be evaluated whether the change conducted in this regard is profitable to the rail centre or not. This would be taken into account that the switch board which is upgraded is beneficial for the rail centre or not. It would also be seen that the change would cause trouble to the operator while operating it in an effective way. So, with this type of evaluation, there is scope for evaluating the performance of the switchboard which would help the rail centre (Ning and Liu, 2010). Act- The last step is this process is the act which is required to be conducted for the successful implementation of the upgraded switchboard in the rail centre situated at Queensland. This is done by the total quality management would be beneficial for the operation of the rail board. All the positive aspects associated with the new switchboard would be implemented and the rest which can cause trouble in the achievement of the goals would be discarded effectively. If the switchboard did not operate as per the set or the required manner then it can be switched with the other board which would be useful for the rail centre and the operator (Ning and Liu, 2010). Evaluation of the strategic plan- The plan which is formulated by the business before implementing the same and creating the segments for each aspect of the plan. Small and easy targets can be made while implementing the plan as it would help in the better analysis of the situation and the goals which are required to be achieved in an effective manner (Morris and Venkatesh, 2010). In relation to the case, the evaluation of the working of the switchboard is required to be conducted in an effective way. This can be performed by analysing all the switchboard available and the tender report presented by each volunteer. This would help in better working of the plan in the rail centre. Formulation of visions- The next step is considering the goals and the visions which are required for the implementation of plans. This can be considered in an effective manner as if the vision is clear then there are fewer chances of ambiguousness in the operation of the business (Kumar, 2016). In relation to the case study, the main vision is the better operation of the switch boards with the upgraded system. Apart from that, there is also the requirement of better control on the power while operating the switchboard in the control room. When these visions are viewed then the process of implementation become easier and faster. This is imperative for the implementation of the business. Selection suitable human resources- The next significant step is the selection of the most appropriate human resources for the conduction of job. This is required as no operation can be accomplished without the involvement of human resources which is most essential part of the implementation of the plan (Schiller, et. al., 2010). In this case, there is the involvement of the selecting the best switchboard for the rail centre and the then suitable person who would be operating the same in the centre. If all the working is conducted without any default then there is scope for the changes and better implementation of resources. Scheduling of meetings and documentation of reports- There is the requirement of various meeting so that proper discussion may be held in the business. This is the essential part which avoids all sort of confusion and other aspects from the conduction of the business. Other than that, there is also documents which are required to conduct the operation without facing any hurdles and ambiguous situations in the business (Kerzner, 2013). In this case, there is the requirement of several meetings with the tender official as well as setting up the requirement for the availability and the operation of the switchboard in the rail centre. Documents are also imperatives like documents of overheads, conflicts of interest and fair dealings, routine testing report and many others required for the operations. 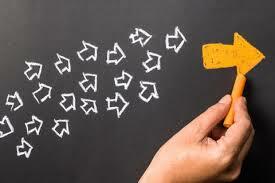 Monitoring the plan- after the implementation of the plan, the next step is the monitoring of the same in the business. This can be done by the regular checking of the changes made in the business and its impact on the business and its operations. This is also necessary because if any problem occurs in the conduction of the same then the whole process may suffer drastically which would be unbearable for the business (Meyers, et. al., 2012). In this case, there is a requirement to evaluate and monitor the operation of the business and taking corrective steps to make changes in it. If the switch board do make improvement in the operations of the rail centre then its replacement become imperative with it. It is also required to monitor that the power heat up may not affect the help with of the operator using the switchboard. With the completion of the essay, it can be analysed that the continuous improvement is the significant factor in the growth and discuss the business. If there is no improvement in the business at regular time interval then the operation may become stagnant and the working may be severely affected. This is the reason that there is the necessity of the continuous improvement in the business. In this case, Deming's P-D-C-A cycle is the significant step which helps in better working of the continuous process of improvement. The replacement of the switchboard become necessary for the rail centre as the upgraded system would help the rail centre in an effective manner. Apart from that, the implementation plan is the imperative approach for the better execution of the strategic plan of replacing switchboard in the rail centre of Queensland. Kerzner, H., 2013, “Project management: a systems approach to planning, scheduling, and controlling”, John Wiley & Sons. Kumar, D., 2016, “Enterprise growth strategy: vision, planning and execution”, CRC Press. Madu, C. ed., 2012, “Handbook of total quality management”, Springer Science & Business Media. Matsuo, M. and Nakahara, J., 2013, “The effects of the PDCA cycle and OJT on workplace learning”, The International Journal of Human Resource Management, 24(1), pp.195-207. Meyers, D.C., Durlak, J.A. and Wandersman, A., 2012, “The quality implementation framework: A synthesis of critical steps in the implementation process”, American journal of community psychology, 50(3-4), pp.462-480. Morris, M.G. and Venkatesh, V., 2010, “Job characteristics and job satisfaction: understanding the role of enterprise resource planning system implementation”, Mis Quarterly, pp.143-161. Ning, J.and Liu, G., 2010, August, “PDCA process application in the continuous improvement of software quality”, In Computer, Mechatronics, Control and Electronic Engineering (CMCE), 2010 International Conference on (Vol. 1, pp. 61-65). IEEE. Schiller, P.L., Bruun, E.C. and Kenworthy, J.R., 2010, “An introduction to sustainable transportation: Policy, planning and implementation”, Earthscan. Singhal K., 2013, “Quality Concepts and ISO”, Bolgspot. Smith B., Hurth J., Pletcher L., Shaw E., Whaley K., Peters M. and Dunlap G., 2014, “A Guide to the Implementation Process: Stages, Steps and Activities”, ECTA Center Work Team on Implementation Process.